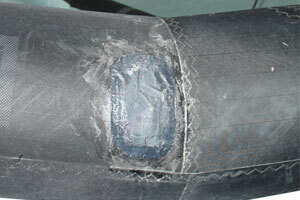 Check out our repairs below to see proof of our work. 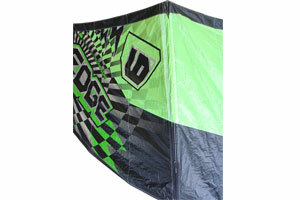 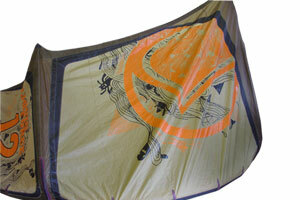 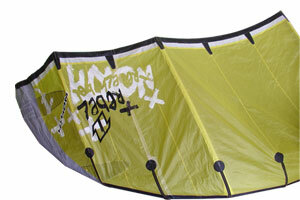 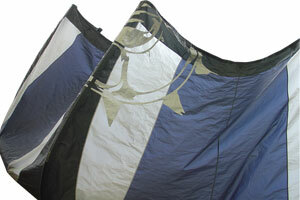 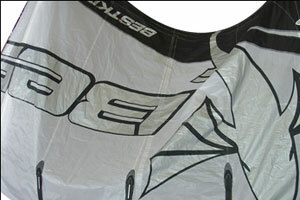 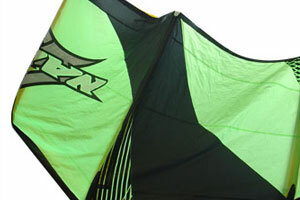 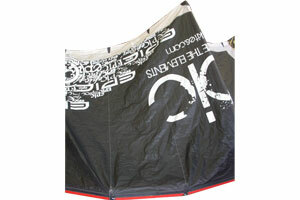 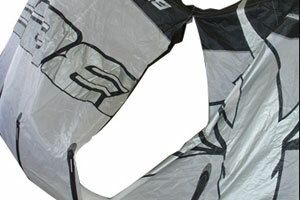 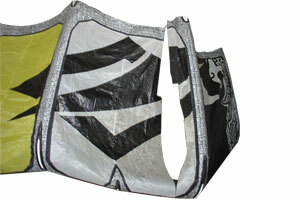 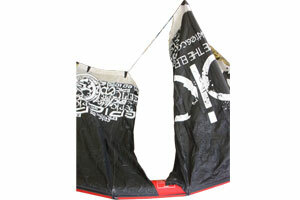 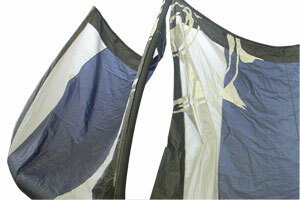 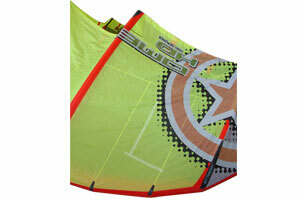 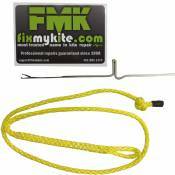 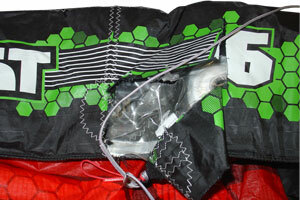 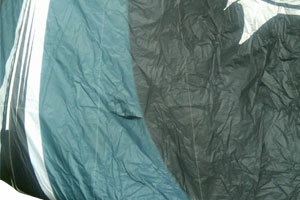 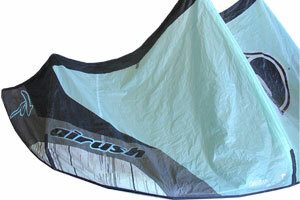 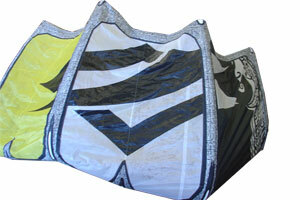 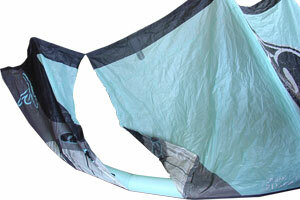 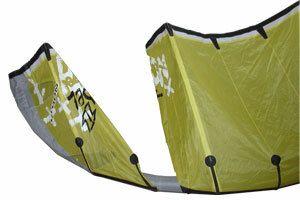 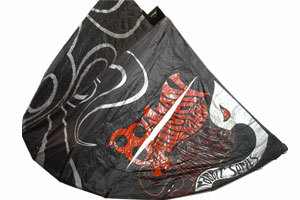 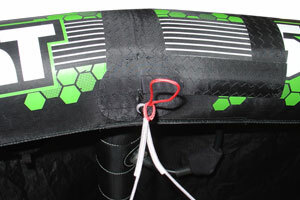 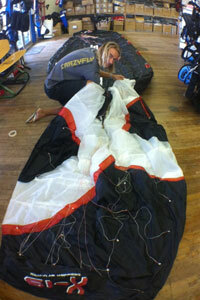 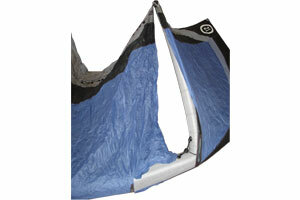 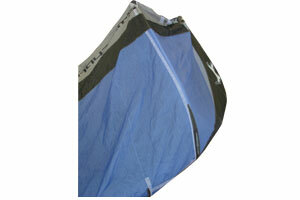 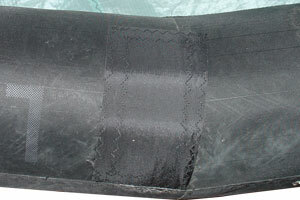 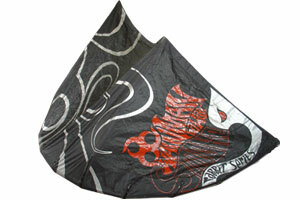 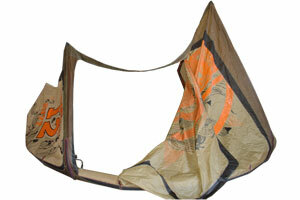 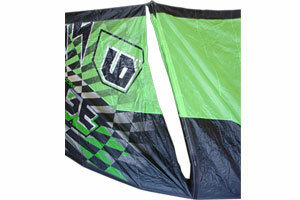 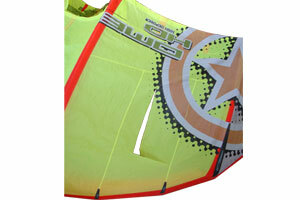 All repairs are guaranteed for the life of the kite and will fly as they did before the damage occured. 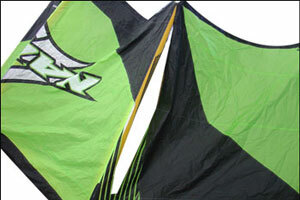 Most repairs cannot even be seen when the kite is in the air. 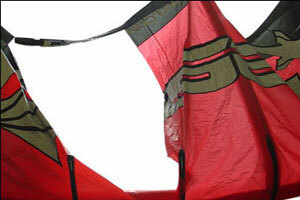 Many customers cannot even find where the damage was on their kite. 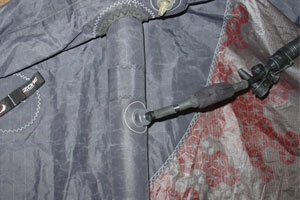 Sometimes the damage is internal and can't be seen. 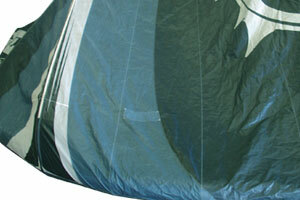 We got this Spleene X-19 (19m foil/twinskin) with 10 blown internal baffle walls and 7 V Ribs. 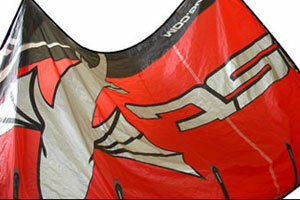 We got this big guy back together and flying again. 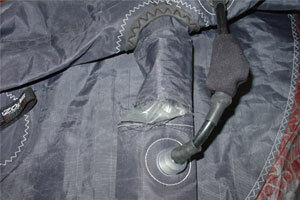 The repairs are guaranteed for life.